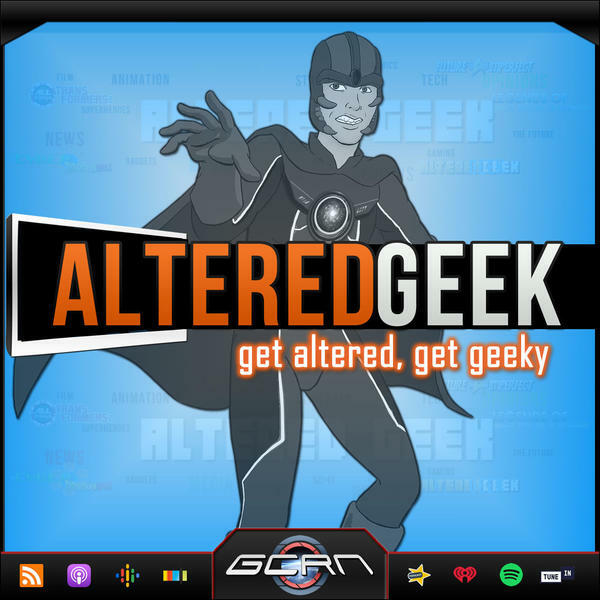 Altered Geek is a Geek podcast that covers the latest in pop culture, and media, and including opinions of what new tech means to you. Get Altered, Get Geeky with the Altered Geeks! This week on "Altered Geek" Steve is joined in this first part with Mike Powers to discuss Geek Homes and other geekiness. All this and more on Altered Geek! This week on "Altered Geek" Steve talks about Trying Out Live streaming... Again, Game Preferences, Google Stadia, Batman's 80th Birthday Anniversary, and does some impressions. All this and more on Altered Geek! This week on "Altered Geek" Steve discusses The Arrowverse changes to come, Captain Marvel, Batman vs TMNT, Avengers Endgame and Retro Gaming revisits. All this and more on Altered Geek! This week on "Altered Geek" Steve and Birdman Dodd discuss New York Toy Fair 2019 and Old Tech Memories and various TV and Film news. All this and more on Altered Geek!